Nokia has recently launched the Lumia 925 which is a new addition to its Lumia series of Windows smart phonesfitted with a 8.7 megapixel camera. The Lumia 925 will join the Lumia 928 as a part of the revamped smart phone roster from Nokia and set to give a tough competition to the HTC One and the Samsung Galaxy S4, both known for their remarkable picture taking capabilities. 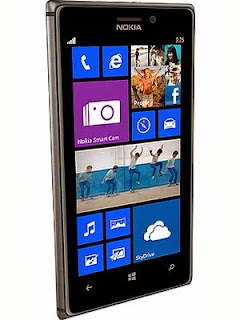 When the Lumia 920 released by Nokia, it featured best in class hardware which was not seen in any other Windows phone. The phone was packed with PureMotion HD+ display, optically-stabilized camera and an updated OS from Microsoft. However, many users of the Lumia 920 stated that the phone was too thick to carry and it featured a rather heavy design which was not typical of Lumia series phones. They called the high-end hardware a misfit to its bulk body. Nokia was then quick to launch the Lumia 925 which seemed to be a response to the many complaints in received for the 920. The Lumia 925 does not have the heavy polycarbonate shell, thick glass slab and also the space-eating LCD screen display. Instead, it is adorned with a aluminum body and a AMOLED display screen. In a bid to modify a few materials and components, the Lumia flagship phone is now light in weight and weighs 139 grams and is 8.5 mm think. Speaking of the Lumia 925’s design, it is not an attention seeker and comes across as an average one. In fact, some buyers commented that they were rather left disappointed after opening the retail box to find a lackluster design phone. Indeed, the Lumia 925 fades in comparison to the HTC One, at least in the design department. The aluminum design of the phone looks strange to some extent. The back panel is adorned with soft touch plastic material. The only metal found on the phone’s surface is around the phone’s edges. Looking at it for the first time, user may feel it odd to look at as compared to the Lumia 920’s sleek yet robust design. Another rather strange aspect of the design is that all the ports of the phone are pushed on the top section. The microUSB charging port is found next to the SIM card tray, which looks loose. Along side the charging port is the 3.5mm headphone jack. The bottom panel is blank. Though not really affecting the functionality, the crammed top section does no good for the design which is rather neatly conceived on other parts of the phone. The revamped design seems to have given a new lease of life to the 925. Apart from the size, the Lumia 925 also has received some other tweaks to optimize the functionality of the phone. Firstly, the sleek software modification is seen in Lumia 925 as well as tweaked camera firmware that allows users to optimally utilize the 8.9 megapixel camera’s features. 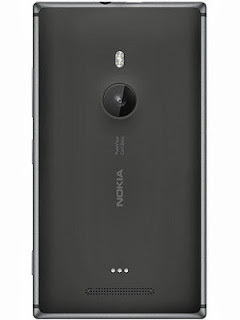 With the tweaks, some firmware issues have been resolved but the Lumia 925 also comes with a 8.7 megapixel camera like the Lumia 920 along with a true 16:9 backside illuminated sensor with 1.4 MP, Zeiss 26mm lens built with optical stabilization and also a dual LED-flash to capture stunning images in low-light conditions. The phone is also fitted with a 1.2 megapixel f/2.4 front –facing camera for video calling. 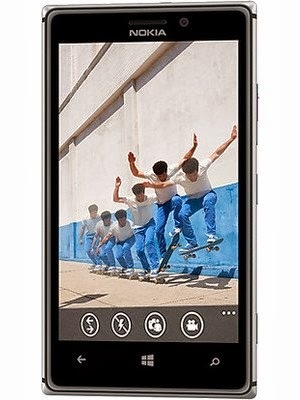 The Lumia 925 is fitted with a one of its kind ‘PureView’ camera. With this advanced feature, images captured during the day time do not feature a deep tint owing to the presence of any one vivid color. Also the ‘PureView’ feature helps to capture sharper images white a stable white balance. With the camera firmware tweaks, the Lumia 925 can be safely considered to be as one of the best smart phones with a remarkable camera available in the market. In terms of competition, only the Nokia Lumia 1020 seems to fit the bill since it is packed with a monstrous 41-megapixel camera. The ‘PureView’ function combined with the stunning details rendered by Zeiss optics deliver remarkable end results. The six-element lens of the camera focuses up to 8 cm from the subject. Observing the 100 percent crops, one can easily see impressive clarity and crispness which is supported by sharp image post-processing. The larger aperture of the lens enables abundant light to enter and users can achieve a fair amount of background blur in appropriate conditions. The color accuracy of the images captured by the Lumia 925 is also astounding. The camera captures colors and scenes almost identically to what is being tried to represent by the photo. There is no oversaturation in the captured images yet they appear dynamic and vibrant. A stunningly smooth Gorilla Glass 2 screen panel dominates the front panel of the phone and also protects the 4.5-inch phone display. The Gorilla panel also protects some sensors, front-facing camera and the three soft buttons. Unlike the other high-end smart phones available, the display of the Lumia 925 does not consume a lot of the device’s face as the user might like it to be. The display is 8mm shorter compared to the Galaxy S4 and is also few millimeters wider but still remains half an inch small. The back panel of the phone is completely plastic and cannot be removed. The rear camera sits at the back panel which is found at an usually lower height from the top. The camera module is protruding from the back panel by nearly 1mm and delivers a maximum thickness of around 10.2mm. 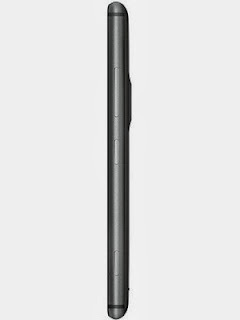 Nokia is incorrectly promoting this phone 8.5mm think device. However, users have commented that the phone’s body is at least 9.2 mm thick and the rear panel portrays nearly 0.5 mm flex. Undoubtedly, the camera is one of the strongholds of not just the Lumia 925, but almost all Nokia Lumia smart phones. The camera was one of the unique selling points for the Lumia 920 and the same applies for Lumia 925. Nokia has worked on some of the camera firmware issues faced by the Lumia 920’s camera. The Guest Author of this post is Julia. She wrote several tech posts for 91mobiles.com. Also have a look on nokia lumia 925 price in india here. Her passion for upgrading her knowledge puts her to research on topics relevant to her industry. Besides, she also likes to share her findings by writing about them in her free time.